The new proposed rules to increase eligibility for overtime by raising the wage exemption floor could have far-reaching, unintended consequences that hurt more workers than they help. Even the most well-intended government rules and regulations can have far more negative effects than positive ones. 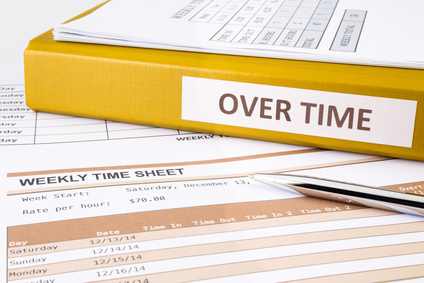 The proposed new federal rules for overtime pay are no exception. Announced last year with details unveiled this week, these rules would adjust the Fair Labor Standards Act to make more workers eligible for overtime pay – from $455 a week ($23,660/year or less) to $970 a week ($47,892/year). The change would reportedly affect five million workers, or less than four percent of the nation’s 149 million member workforce. While Americans deserve to be fairly compensated for their hard work, it’s important to understand how this rule impacts businesses and employees, especially lower profit margin companies such as grocery stores and restaurants. The National Retail Federation says expanding overtime rules would drive up payroll costs but would limit opportunities to move up into management. And hiring might become more difficult if it is more expensive. The federal health law already fines employers if they do not offer health insurance. A Marketwatch columnist suggested that businesses may start cutting back on hours of service, outsourcing to other countries or incorporating more technology to replace human labor. There’s no overtime requirement for automation. These rules are being touted by politicians and others as a way to boost the middle class. Unfortunately, more government overreach is not the best avenue to achieve these noble goals. Allowing employers and employees to reach the terms of their own working arrangements – including hours and pay structure – ensures companies can pay within their means to stay in business and create jobs in the first place.